Although they come from different latitudes and have different experiences, Frankie Chavez and Peixe are united by their work with the Guitar. Peixe began to appear for more than twenty years, when he signed the muscled and unmistakable sound of the mythical Ornatos Violeta, but that was only the beginning of a long and rich journey. They followed the Pluto, the Zelig delirious experiences, more than many collaborations and the result of all the study and exploration of the possibilities of his instrument of election in two great solo discs - "Apneia" and "Motor". Frankie Chavez has been affirmed, since it debuted in 2010, as one of the most stimulating musicians of its generation. Inspired by Folk, by the Blues and by the more classic Rock, he has taken - both alone and accompanied - his music ever further, all at the cost of the singular relationship he developed with what was always the beginning of everything: the Guitar. Together and only armed with an instrument that has become its natural extension, Frankie Chavez and Peixe, take us to places where we have never been and they have not. 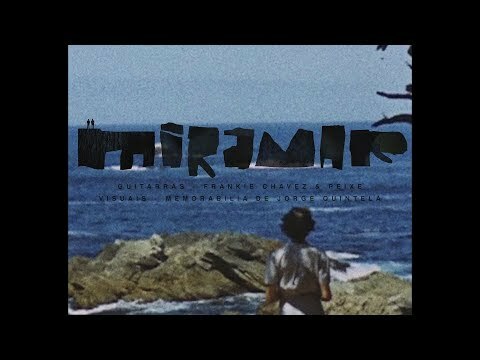 Miramar is the name of this project that brings together two leading figures of Portuguese music. The edition is guaranteed by Rastilho Records, in CD, LP and DIGITAL formats.